Ambon Island Indonesia is one of the regencies in Maluku Province, Indonesia which has many of the Best Travel Destinations that you should visit such as Ngurtafur Beach, Ngurbloat Beach (Pasir Panjang Beach) which has a length of about 2 kilometers with the second smoothest white sand in the world or see the beauty of Ngurtafur Beach (the sand beach just forward like dividing the ocean and in certain seasons you will see Pelican birds that are migrating and other white sandy beaches that will make you comfortable on vacation see the Best Tourism Destination Maluku Ambon Island Indonesia. 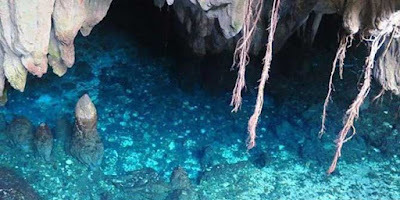 Besides that, Southeast Maluku also has a cave with fresh water that is very cool and clear with a very interesting story and other attractions that you love to miss. Here are 10 Best Tourism Destination Maluku Ambon Island Indonesia that you can visit and enjoy the beauty. Ngurtafur Beach is one of Ambon Island Indonesia Best Tourism Destinations located on Waha Island, Ohoi Region, Warbal Village, West Kei Kecil District, Southeast Maluku Regency. White sand beaches that jut into the 2000-meter-long sea surrounded by other small islands make this beautiful beach a very interesting tourist destination for you to visit. This clean and beautiful white sand will be seen when the sea water recedes. 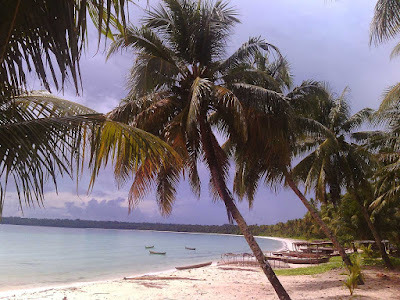 The beach, which is about 28 kilometers from Langgur Ibu, you can visit the capital of Southeast Maluku Regency through the Debut Port in about 20 minutes by using a speedboat. 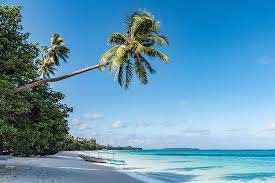 Kei Islands is one of the best tourist destinations in Indonesia with the softest stretch of white sand with a beautiful beach panorama that will make you stunned to see it. One of them is on Ohoidertawun Beach. This beach has a wide expanse of fine white sand. 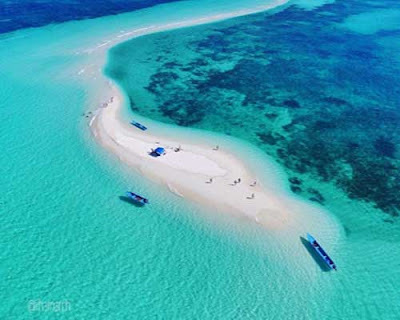 Other beaches that you can visit are Ngurtavur Beach, which is Beach Gosong (Sandbar) which extends up to 2 kilometers with a snake-like white snake shape visible from above. Besides having a beautiful and charming beach panorama, Kei Islands also presents a stunning sunset atmosphere like a natural painting garnished beautifully above the horizon which will surely make you feel at home in the islands. The next destination for Ambon island Indonesia that you can visit and enjoy its beauty is Ndur Mun Xatwahan Ohoidertutu Beach which is about 60 kilometers from the capital of Southeast Maluku Regency. On this beach you will be greeted with a sparkling clean white sand, fresh air and waves waving along the coastline. In addition to having 3 kilometers of curved beach sand and large wavy sea water you can do to do water sports activities. In addition to its beautiful and charming beaches, the underwater nature of Ndur Mun Beach also contains coral reefs that are still natural and beautifully enchanting. This beach is directly facing the spread area of Leatherback Turtle (Tabob). You can travel to this beach using land and sea vehicles with about 50 minutes. From Karel Sadsuitubun Airport or 1 hour from Langgur. Kapal Island is a small island shaped like a ship located next to Sathean Village or about 7 kilometers from the capital of Southeast Maluku Regency. On Boat Island you can do snorkeling activities. 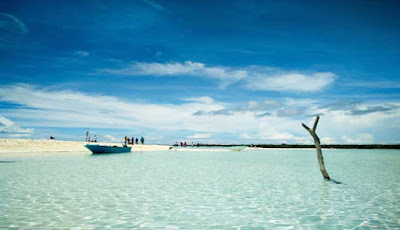 With its clear blue water and beautiful coral reefs, you will feel at home for a long time on this beautiful island. Hawang Cave is located in Letvuan Village or about 15 kilometers from Langgur, the capital of Southeast Maluku Regency is one of the Best Tourism Destination Maluku Ambon Island Indonesia. In this cave you will be presented with a freshwater pool which, when exposed to the reflection of sunlight, looks very beautiful. Inside the cave there is also a stone that symbolizes a man holding a spear with two dogs. This white sand beach is very attractive as a shelter. Beachside Home Stay is entirely made with local materials with the floor and walls made of bamboo and the roof made of sago leaves. At Ohodertawun Beach there is also a cafe for visitors. The expanse of white sand on this beach at low tide will look more broadly jutting into the sea up to 200 meters long which you can use to play sand or other beach sports. Mgr Pilgrimage. Johanes Aerts. MSc Park is a beautiful park located near the main road of the City of Langgur. This park was created to commemorate Bishop Johanes Aerts. MSc and other Imams executed by the Japanese Army on 30 July 1942 during the Second World War. Besides having a cool and beautiful garden panorama, in this park there are also monuments and historical reliefs of the Catholic Church in Tanah Kei since 1889. This place is now a place of pilgrimage for Catholics. 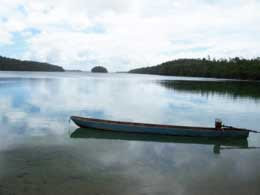 Tanimbar Kei Island is located in the small southwest of Kei that you can take in 3-4 hours by sea. 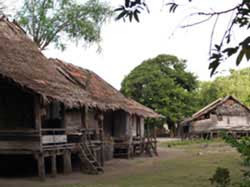 There are many interesting things that you can find in the Tanimbar Kei Cultural Village such as unique architecture, art, customs and ancestral beliefs that are still held firmly by the people up to now. The Tate'e Traditional Ceremony is held annually in this village to ask God and ancestors to obtain abundant land and sea harvests. 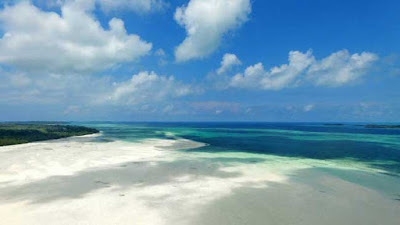 Masbait Hill is the highest hill in the Small Kei Islands with beautiful scenery. 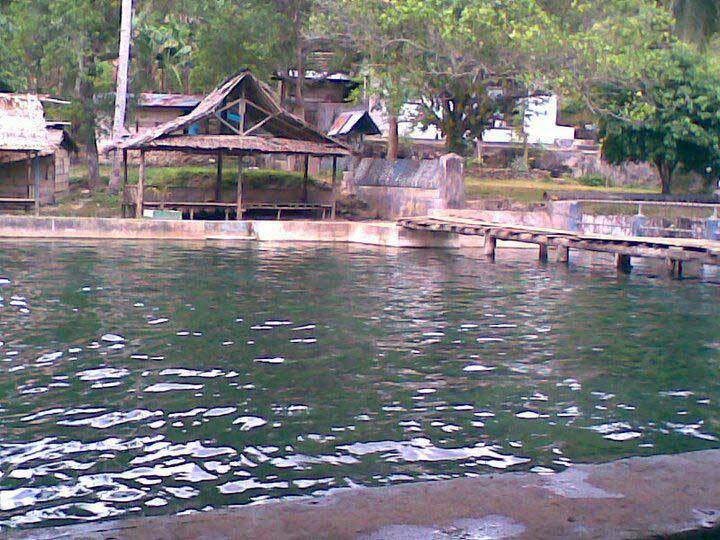 You can take this place from the capital of Langgur Regency in about 10 minutes. 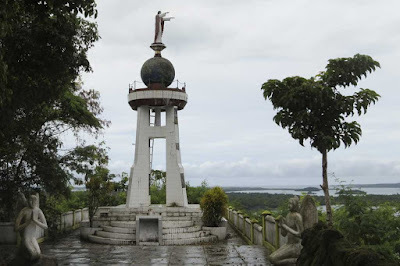 Besides having a very exotic view, the Masbait Hill also has a place of pilgrimage for Catholics. There is also a statue of Christ the King which stands on the Globe which indicates that Jesus Christ will protect and bless the entire Ummah who are in this archipelago. Nen Masil Evu Spring and Natural Baths are one of the Best Tourism Destination Maluku Ambon Island Indonesia that you can visit while on vacation to Southeast Maluku Regency. You can take this beautiful and fun place in 35 minutes by land vehicle from Langgur. Aside from being a tourist spot, the Masil Evu Nen Spring is used to supply clean water for the City of Langgur and Tual cities. Now that's the 10 Best Tourism Destination Maluku Ambon Island Indonesia that you can visit and enjoy its beauty while on vacation in Maluku Island, Indonesia.